The title of this post was taken from the song Below My Feet by Mumford and Sons. 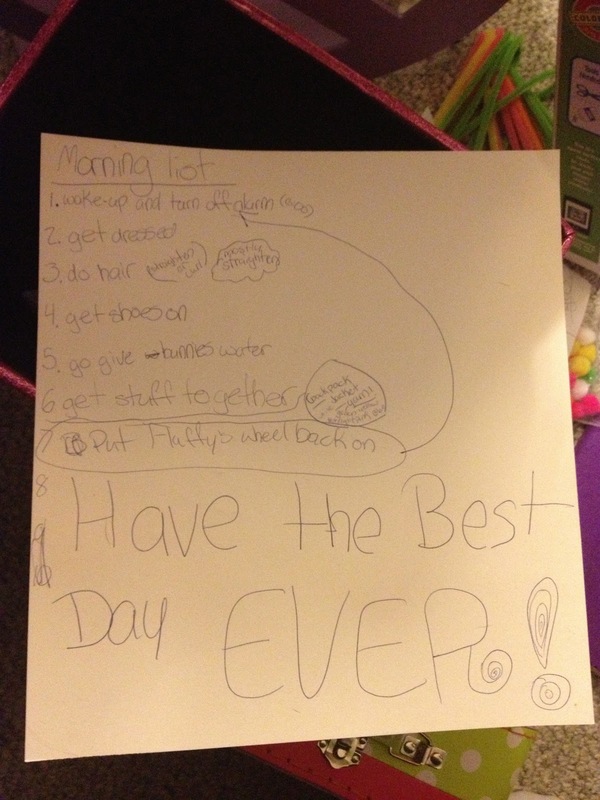 The other day I was getting Tyler up for school and I looked down to see her todo list for that day. I had to take a picture. My favorite part is the very bottom where she has written "Have the Best Day EVER!" I couldn't help but smile and wipe away a tear. I am so grateful that given all she has been through she can still decide to have a positive attitude and make her day any way she chooses. This inspired me today. Today was the funeral for Mike's grandmother, my kids great grandmother. It was hard for a lot of reasons. There is a lot I am choosing not to focus on. Instead I'm going to go to bed tonight with a todo list on my nightstand, and at the bottom I'm simply going to write "Have the Best Day EVER!". Thank you Tyler for continuing to teach me. Kids are great. Have a great day.